Richard Sennett has explored how individuals and groups make social and cultural sense of material facts — about the cities in which they live and about the labour they do. He focuses on how people can become competent interpreters of their own experience, despite the obstacles society may put in their way. His research entails ethnography, history, and social theory. As a social analyst, Mr. Sennett continues the pragmatist tradition begun by William James and John Dewey. His first book, The Uses of Disorder,  looked at how personal identity takes form in the modern city. He then studied how working-class identities are shaped in modern society, in The Hidden Injuries of Class, written with Jonathan Cobb. A study of the public realm of cities, The Fall of Public Man, appeared in 1977; at the end of this decade of writing, Mr. Sennett sought to account the philosophic implications of this work in Authority . At this point he took a break from sociology, composing three novels: The Frog who Dared to Croak , An Evening of Brahms  and Palais Royal . He then returned to urban studies with two books, The Conscience of the Eye, , a work focusing on urban design, and Flesh and Stone , a general historical study of how bodily experience has been shaped by the evolution of cities. In the mid 1990s, as the work-world of modern capitalism began to alter quickly and radically, Mr. Sennett began a project charting its personal consequences for workers, a project which has carried him up to the present day. The first of these studies, The Corrosion of Character,  is an ethnographic account of how middle-level employees make sense of the “new economy.” The second in the series, Respect in a World of Inequality, [2002} charts the effects of new ways of working on the welfare state; a third, The Culture of the New Capitalism,  provides an over-view of change. Most recently, Mr. Sennett has explored more positive aspects of labor in The Craftsman , and in Together: The Rituals, Pleasures and Politics of Cooperation . The third volume in this trilogy, The Open City, will appear in 2016. 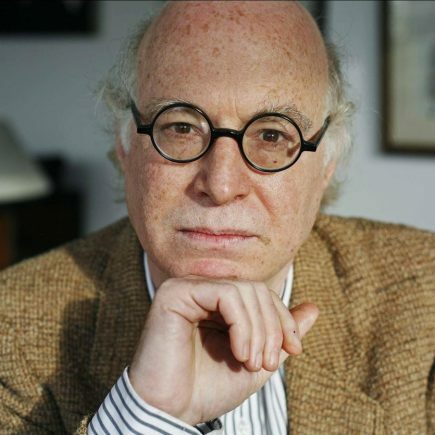 Among other awards, Richard Sennett has received the Hegel and Spinoza Prizes and an honorary degree from the University of Cambridge.